Please welcome Mario from Topline Upholstery aboard, as our latest forum sponsor. 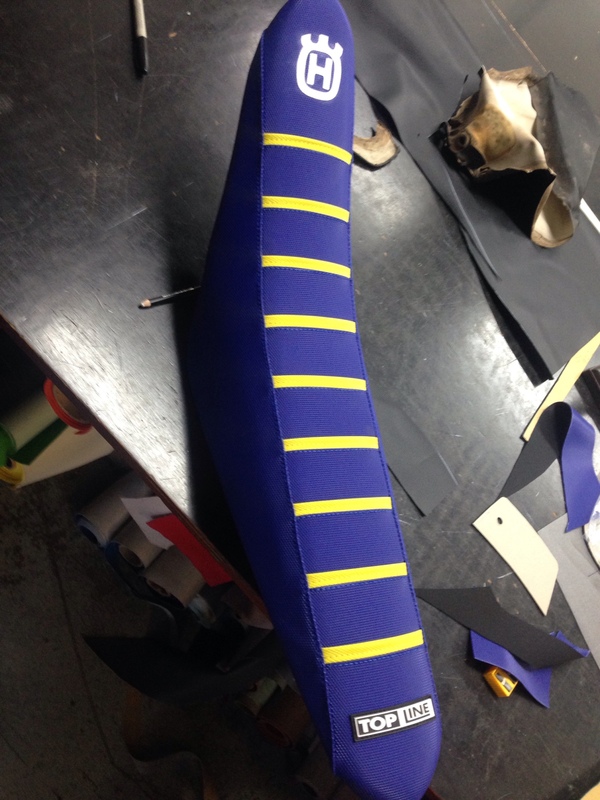 A lot of you will already know Mario, but for those that don't, he is the king when it come to custom gripper seat covers, and also does a lot of seat covers to suit the older bikes.. He is located in Patrick Court, Seaford, mention you are a forum member when your in there, or on the phone. Hes a top bloke. I heard from Mario on the forum and after 2 tares on my original ktm seats went directly to him. He suggested a gripper seat! It's had no tears and has limited the sliding on the bike at times when up on the seat. great news - welcome on board Mario! Had mine done a couple years back now, will be paying a visit in the not too distant future to have it re-done (I managed to tear it again!) and to get Ned's KLX140 seat done as well..